To follow-up on the article Workers Compensation—Tidbits on Construction Projects, the recent opinion in Roof Painting By Hartzell, Inc./Summit Holdings-Claims Center v. Hernandez, 2015 WL 641199 (Fla. 1st DCA 2015) touches upon the application of a statutory employer in the construction context. Here, a contractor was hired to provide pressure cleaning and related services. The contractor, in turn, subcontracted the labor to perform the services through another company (e.g., subcontractor). Both the contractor and subcontractor that provided the labor had workers compensation insurance. A laborer (retained by the subcontractor) was injured in performing the pressure cleaning services. The issue was which workers compensation carrier should be responsible: the subcontractor’s carrier or the contractor’s carrier. In case a contractor sublets any part or parts of his or her contract work to a subcontractor or subcontractors, all of the employees of such contractor and subcontractor or subcontractors engaged on such contract work shall be deemed to be employed in one and the same business or establishment, and the contractor shall be liable for, and shall secure, the payment of compensation to all such employees, except to employees of a subcontractor who has secured such payment. 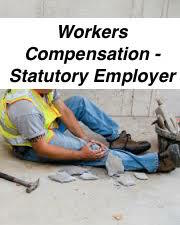 Since the injured laborer was hired by the subcontractor, the subcontractor’s workers compensation carrier should cover the injured laborer’s claim. Section 440.10 forms what is referred to as the “statutory employer” concept. For instance, if the subcontractor does not obtain applicable workers compensation insurance, then under this section, the general contractor is liable (as the general contractor is the statutory employer). It is this reason that contractors that subcontract a portion of their services to others need workers compensation coverage! Importantly, contractors that comply with the requirements of section 440.10 are protected by the exclusiveness of liability provisions in Florida Statute s. 440.11. This means the contractor is immune from lawsuits (such as tort-related lawsuits) from injured workers with workers compensation being the exclusive form of liability absent any intentional tort committed by the contractor. See Fla.Stat. s. 440.11. “Because section 440.11(1) of the Florida Statutes makes the liability to secure [workers] compensation imposed by section 440.10(1) the exclusive form of liability imposed by Chapter 440 on an employer, once an employer acquires and maintains workers’ compensation insurance for the benefit of its employees, it becomes immune from suit.” VMS, Inc. v. Alfonso, 147 So.3d 1071, 1073 (Fla. 3d DCA 2014). This entry was posted in Insurance and tagged exclusiveness of liability, Florida Statute s. 440.10, Florida Statute s. 440.11, statutory employer, workers compensation, workers compensation immunity by David Adelstein. Bookmark the permalink.